For years, the UK has been torn apart over one polarising issue. One decision has left the nation fractured, arguing amongst themselves about who is in the right and who is so, so painfully wrong. Seriously, who the f*ck puts Cheese & Onion crisps in the f*cking god tier? Apparently, the ‘British public’ (I wasn’t asked for some reason) have voted on their favourite crisps and it spawned this satanic pyramid of horrors. As if the general public’s reliability when it comes to voting hasn’t already been exposed as absolutely shambolic, this proves once and for all that we really can’t have nice things. Imagine my dismay when I saw Chilli Heatwave Doritos, the cheat snack of choice for Fiat 500 drivers, sneak it’s way into the God Tier – especially considering the genuinely God-like Skips haven’t even made the list. It’s a travesty, and I’m not the only one that thinks it. Can we take a second to remember the British public voted Mrs Browns Boys comedy of the millennium. As the brilliant Super Hans once said; “People like Coldplay and voted for the Nazis. You can’t trust people“. 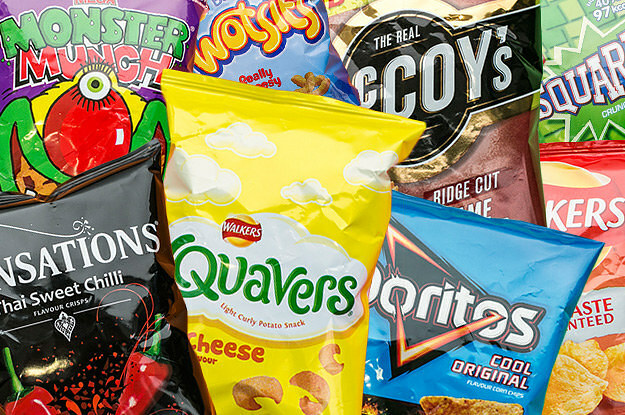 Check out Britain’s Favourite Crisps on Channel 5.